Modern business is experiencing a revolution, brought about by technology. Technology allows businesses to thrive in a state of constant flux, it’s crucial you are able to track every of your cent as a business. It will come to a time when manual accounting processes will become challenging and time consuming. There’ll be a need to consider business accounting software to keep your business moving. A solid accounting structure is a prerequisite for every efficient business. It will get to a point when simple Excel tricks or spreadsheets will become inadequate. You cannot compare what small business accounting software used to be in 1990s and now. At that point, business accounting software offers more features than needed by the small businesses of that period. Most businesses find it difficult to use and investing into accounting personnel appears cheaper. Then, this business accounting software can only be understood by professional accountants. Today, your business can be better, smarter and faster with business accounting software. Usually, your business will benefit from a quick and immediate overview of your business and improved collaboration. You’ll be adding a great deal of value to your business and saving your business a lot of resources. Either you or the contact person have access to the accounting books. That’s a limiting aspect of traditional accounting software. Key people who are meant to have access to financial details are denied the access. Traditional accounting software cannot be fully trusted and not secure. Since it only works on a single computer, there will be need to copy the data around. This can make it fall into the wrong hands. Before there can be the needed support for traditional accounting software, there must have been a long line of reports. This creates a slow support response for traditional accounting tools. All of these shortcomings can affect your business and slow down the rate of growth. However, with small business accounting software, this can be surmounted. It’s all about making business and life easier for business owners. With a small business accounting software, you will be making life easier for your professional accountants. A business accounting software gives you access to your numbers at all times. It also gives your financial advisers the access they need to give your business the right advice needed. Unlike traditional accounting software, you will be given the full access and support you need at all times. You will not even know if there’s any issues with your small business accounting software. Your payroll solution will also receive the boost it needs, you can even control your payroll even from afar. You don’t have to be close to the office to pay your employees. Every of your accounting needs will be automated and updated with little efforts. Managing your invoice will also be swifter with business accounting software. You can send invoice to your clients right after the job is delivered. This allows for payments to be made right after the job is delivered. You will be able to manage payments easily. You can keep track of the status of your payments to know who has paid and who is yet to pay. A small business accounting software always have receipt scanning features also, this makes it handy to keep track of expenses. Usually, a small business accounting software relies on cloud and solid infrastructure. This gives your business an edge above every other traditional accounting tools available to your business. They are manned by professionals with a secure anti-virus programme that keeps your business data secure. There can be zero or little downtime, allowing your business to run all year round. 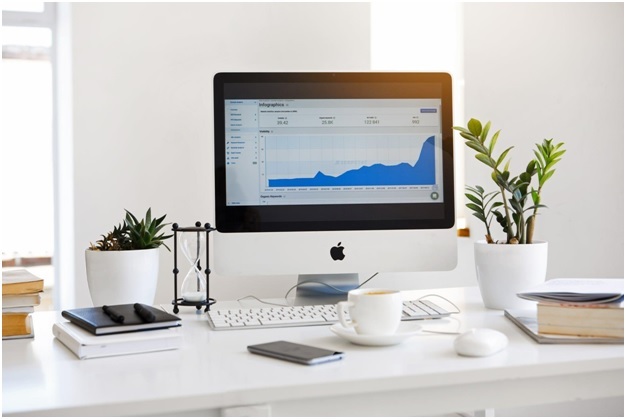 With the increasing number of businesses embracing business accounting software, your business cannot afford to be left behind. All that is needed is a little cost, from where you can enjoy top class technology.